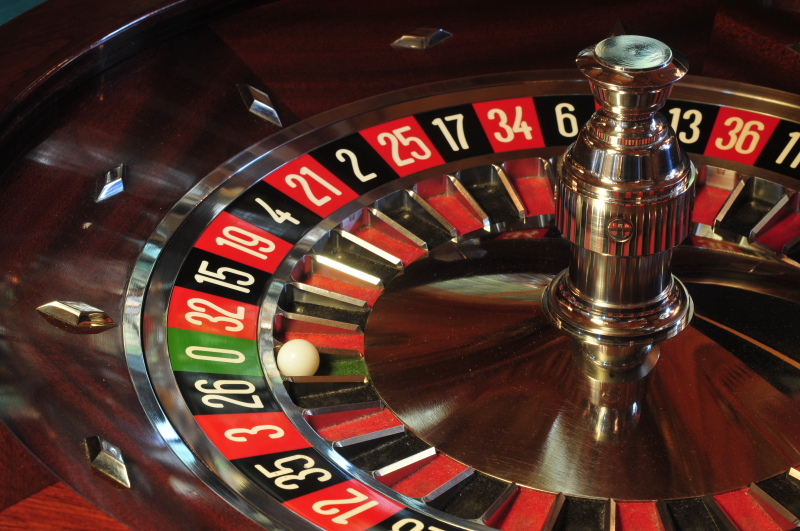 Most people think of investing in stocks similar to that of gambling at a casino. This is true because many people’s behaviour towards investing is exactly like gambling. They speculate on the next big thing and try to make a lot of money and they want to make it fast. This is contrary to real investing. If you read the book, The Clash of Cultures: Investment vs Speculation by John Bogle, you’ll soon realize that the whole financial industry has evolved from investing for the long term, to short term, quick speculative guessing. The old adage of buying and holding no longer exists. People feel the need to “beat” the market. Since many people invest based on emotions, it’s no wonder that emotional investing and momentum investing have become such common terms in the investing world. Heck, it’s why Jim Cramer has a show on network television! Marketing agencies and promoters pump stocks like it’s the next big heavyweight champion. Yahoo and MSN articles grab your attention by stating “3 Stocks You Should Own Now”. It’s also why you don’t want to read my boring articles because I’m not giving you “5 Ways to Get Rich Quick” schemes. These are things that get our blood running and ultimately cloud our financial judgement. Despite all the statistics, the charts and graphs, and all the technical studies that people do. Investing is like playing sports. It’s 90% mental and 10% physical. In the case of buying equities, it’s probably 99% mental and 1% physical. All it takes is a click of a button on your computer to buy. Before buying your mind keeps tell you “it’s a good thing”. After the purchase, your mind keeps saying “it’s a bad thing”. If we could get those demons out of our heads that would be wonderful. But we just can’t, damn it! Most individual investors exhibit the behaviour of a speculator. Someone who is out to make a quick dollar by buying and flipping something quickly for a profit. These people are not investors, but speculators. Investors see the bigger picture and recognize that there is value that is being built by society and the companies that run it. They will see that mankind is out to further progress, not to destroy it. That growth is what we, as individual investors, should be investing in. It takes time to create positive change in this world. A lot of time! To achieve success, individual investors shouldn’t focus on buying individual stocks. Rather it is more effective for individual investors to invest in market index funds like low cost mutual funds or ETFs that offer the diversification and balance needed to be successful. It also forces individual to become long term investors rather than gamblers and speculators because the market as a whole is a lot more stable than investing in volatile individual stocks. Investors need to take advantage of time and compounding interest to make their investments successful. One of Warren Buffet’s famous line is saying that his “favourite holding period is forever”. This is true for real investors. They will understand that there are peaks and valleys. There will be years with negative returns and there will be years with outstanding positive returns. The important thing is what we get out of investing in the long run. You may wonder why you should hold on to your investments even during the bad times. Why go down with a sinking ship? The fact is, investing is emotional, and tides can turn at any time. People try to time the market thinking they have all the answers, but they don’t. The markets can turn positive at any given time, but no one knows when. So why guess? The stock market in the long run has always trended up. So why would you try to time yourself out of a market that has historically trended up? Have you given up on humanity as a whole? People who automatically declare the stock markets as being rigged and gambling are just being ignorant. They have yet to really learn about economics and how society functions through corporations. Personal finance is not something that is taught through the education system and it’s a real shame. The fault of our education system has created a society that is devoid of any real financial knowledge. It’s why I’m glad that you’ve found this blog and continued to read and learn. Nothing says more about caring about your own personal finances than taking the initiative to learn.